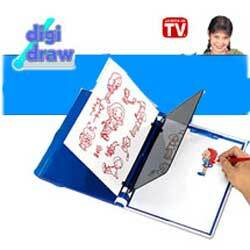 DigiDraw lets you easily trace any picture, photograph or illustration to make fantastic works of art. You can even make animated cartoons! With DigiDraw, you can customize your favorite things. Trace almost anything on T-shirts, sneakers, book covers, backpacks and more!